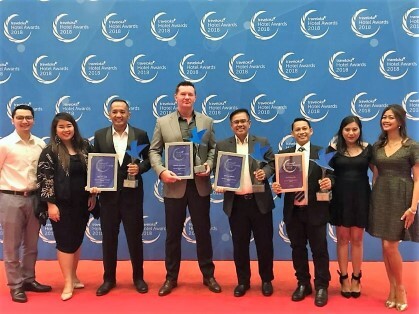 Jakarta, Indonesia, November 2018 – Archipelago International, a leading Indonesia-based hospitality management company, proudly took home four awards at a recent gala dinner in Jakarta for the annual Traveloka Awards. The big win for Archipelago International is not only testament to each hotel’s performance in terms of quality guest experiences, it also demonstrates the success of the group's Corporate Sales & Marketing team in managing Traveloka’s online system. 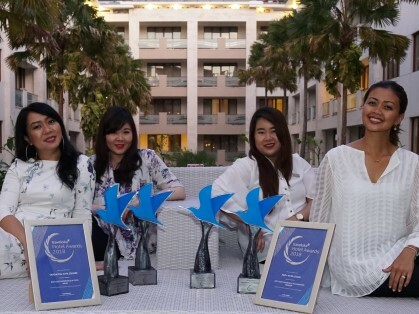 Director of e-Commerce and Distribution, Silvia Dwi Jayanti commented: "We are very proud that the performance of our hotels and Corporate E-Commerce team has once again received recognition and support from our trusted partners. The awards we have received will serve as a reminder to strive even harder to provide better results and services, not only for our team but also for our guests who choose to stay in our hotels."